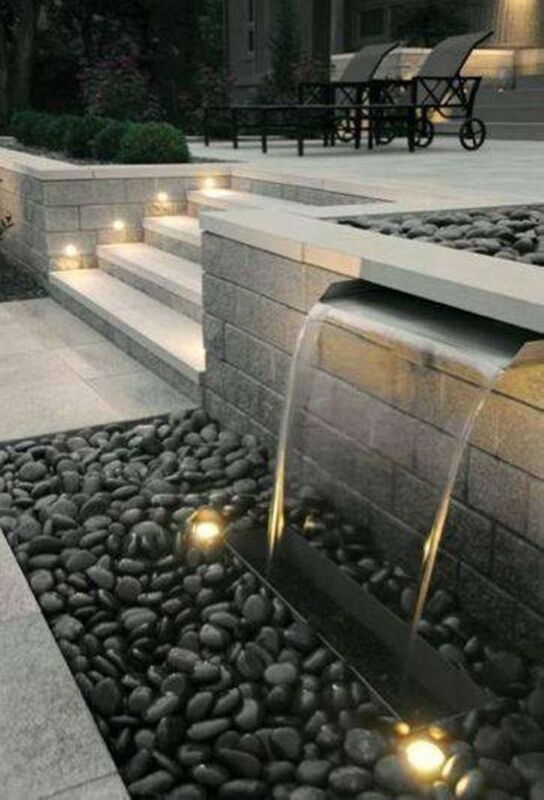 Are you looking for inspirational landscaping ideas? 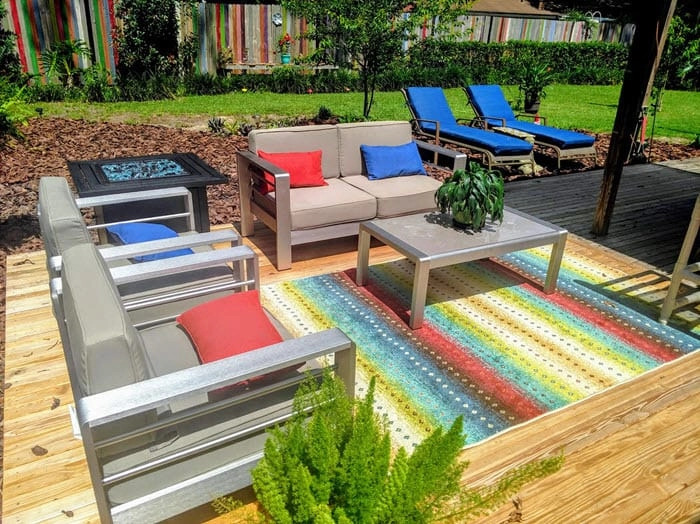 I’ll share a few backyard designs we’ve come up with over the years to turn our boring backyards into something worth hanging out in. 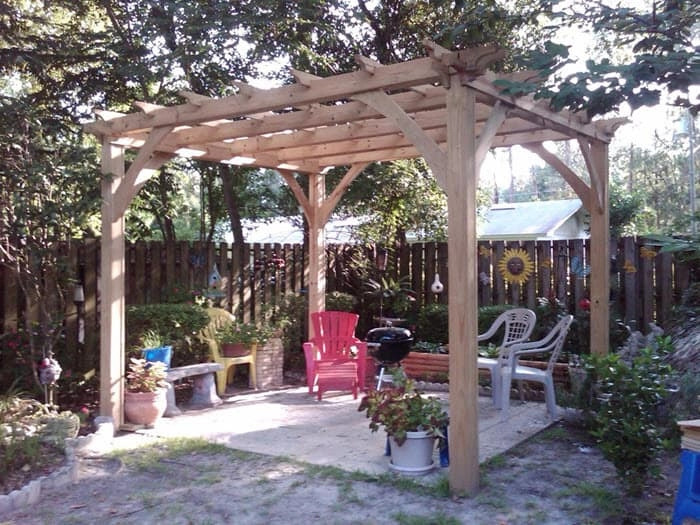 Most of this round up is from projects that we did in our different backyards over the years. 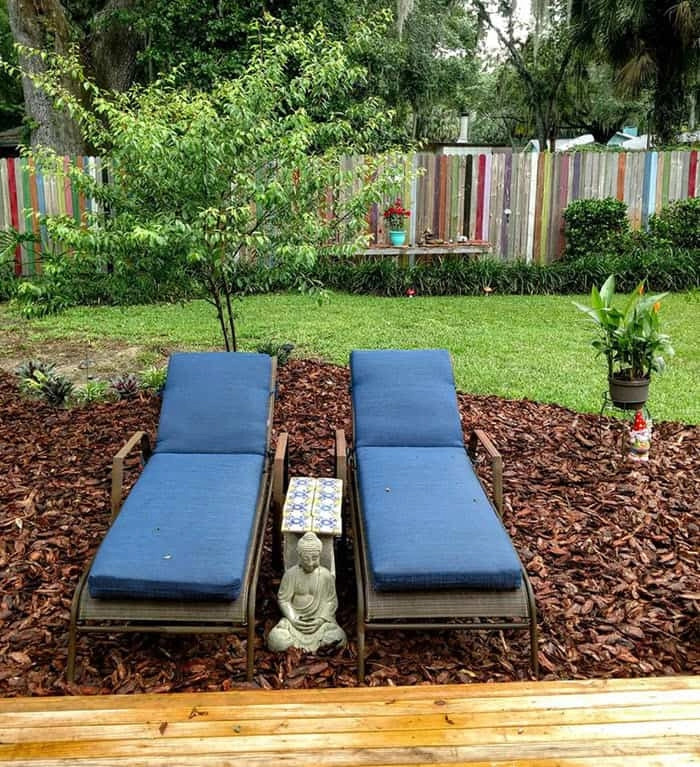 Unlike most roundups, we took these photos and build many of these items and enjoy backyard landscaping ideas that I’m sharing with you. I’m not sure if we’ve ever not had a deck in our backyards. Having a deck defines our outdoor space and it seems easier than laying pavers. Plus with a deck, you can have one or more levels. Decking is just one of our most favorite backyard ideas. 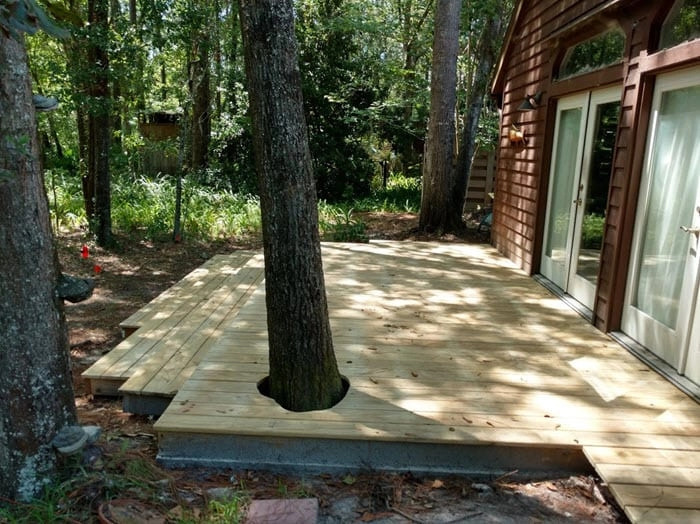 And don’t worry, if you have a tree or stone too close to where you want to build your deck, you can always build around it. The final touch is scribing the area where the stone or tree is and it give a very built in look. 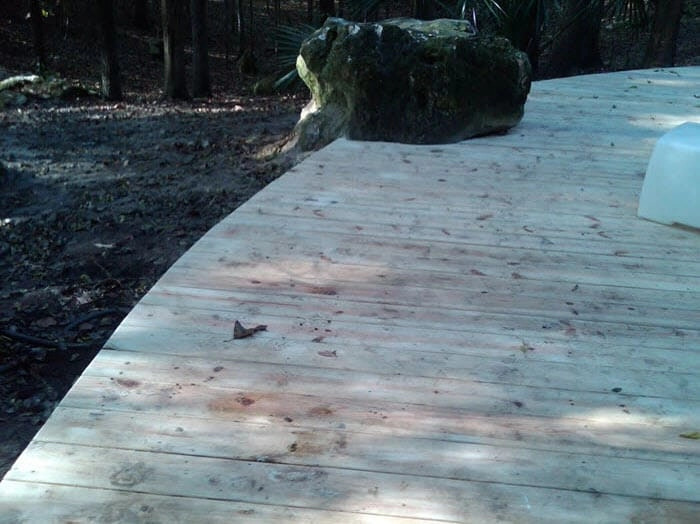 Here are a couple of different decks we’ve done over the years with stone or tree in the way. 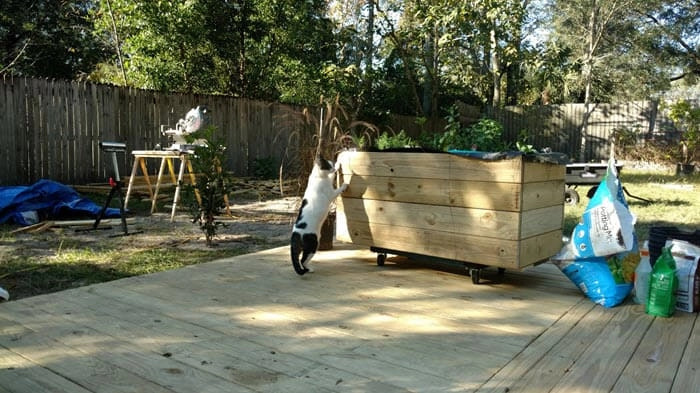 You can even add an extra deck level if you can get the ground to level out for you. 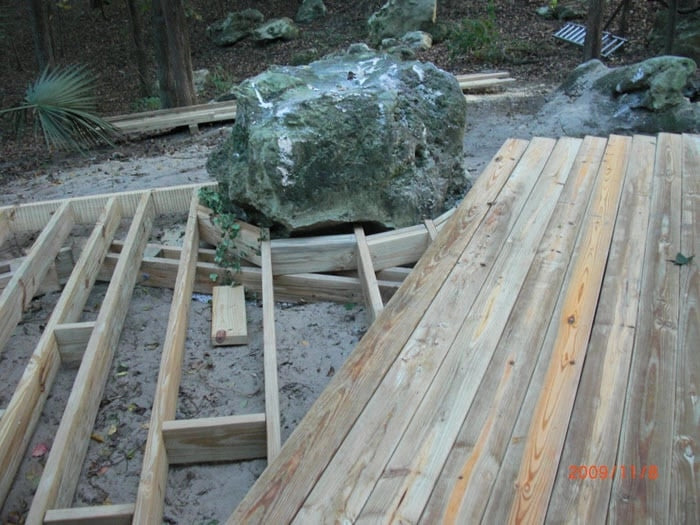 Here’s a look during the construction process for building a deck around a rock. And here’s the final look of the deck with the rock scribed out. It’s really a great look. I like this one better, just because decks around trees can be a little more complicated since the tree could still grow and change. This is on my bucket list. Working from home is great, except when it isn’t. We hope to tackle this task next year so I can have an office that I can go to do get work done. 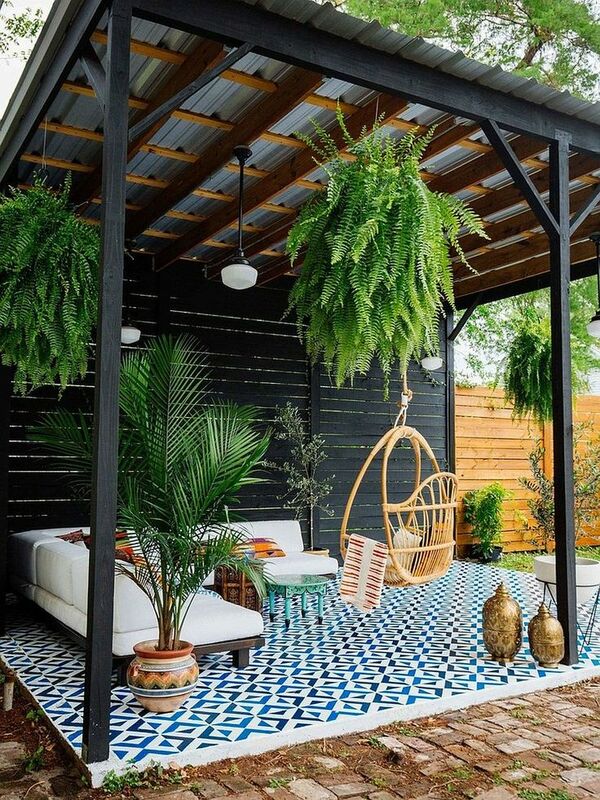 Here are some wonderfully inspiring she shed design ideas for any backyard escape. You can style it however you want, but for my shed, I think I want to go with a more rustic feel. Transform an outdoor storage shed into a comfortable home office, craft room or guest room by creating a she-shed with a little paint and comfortable seating. We’ve done a little planting this year. It’s not our most favorite thing to do, just because we don’t feel like we’re very good at keeping things alive. Although I was able to grow sugarcane from one stalk that a friend gave to me. It felt more like a science project for the first four months. I still have one stalk growing. The other 2 blew over during remnants of a hurricane. We go for easy landscaping ideas, so doing things like planters and keeping garden area small helps us manage the gardens. You can choose to go big or small, depending on your backyard space. 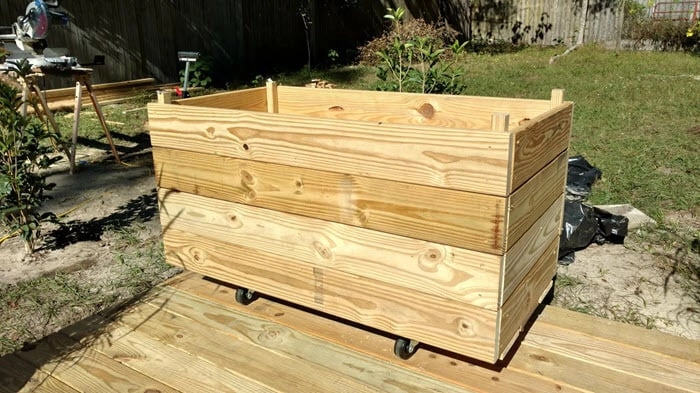 Here, we created a raised planter. This makes it easy to care for the garden. We mostly use this one for herbs and strawberries. 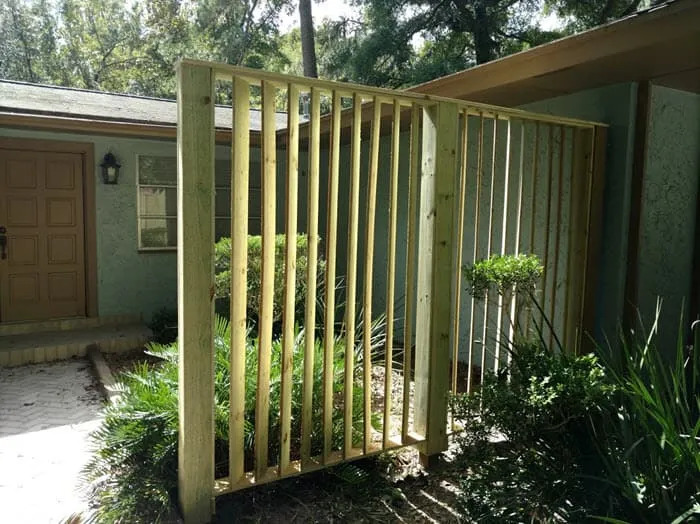 If you prefer, you can create an area just for your garden with a fence and gate. It won’t keep all critters out of it, but it could keep some. 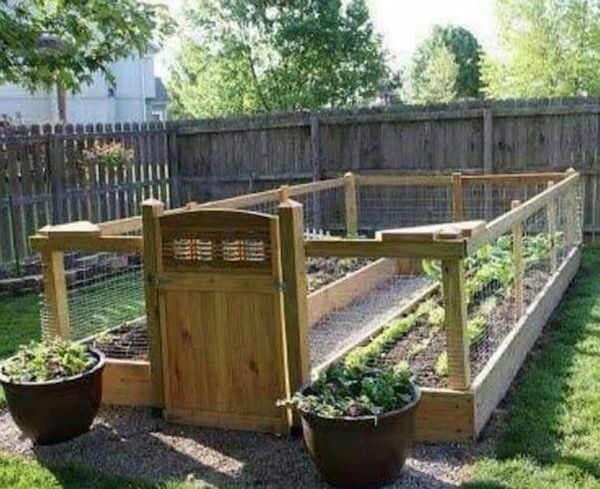 Basically, square foot gardening is the theory that instead of planting in rows, you build a gardening grid of one foot squares, and manage crop rotation by simply replanting an empty square whenever you harvest. 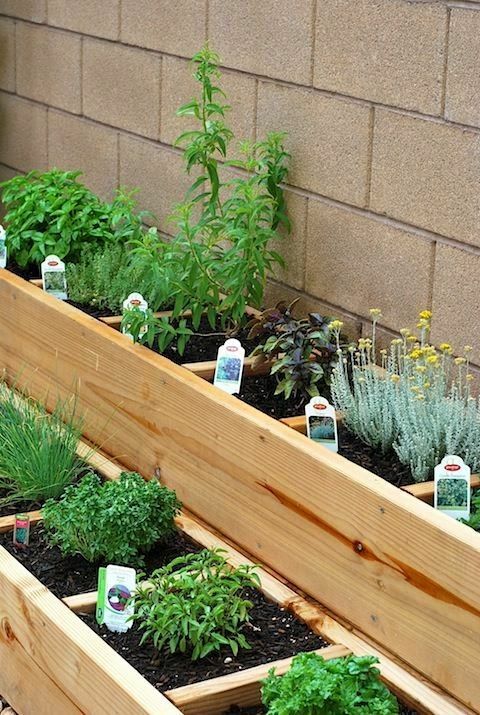 Here is all about what square foot gardening is, and how to use it to get the best crop ever! Sometimes you just want somewhere to sit and read your morning paper and sip your coffee. I love the idea of a little quaint sitting area in the backyard where the sun comes through softly from the branches. This way it’s not too hot, but a lovely outdoor experience. 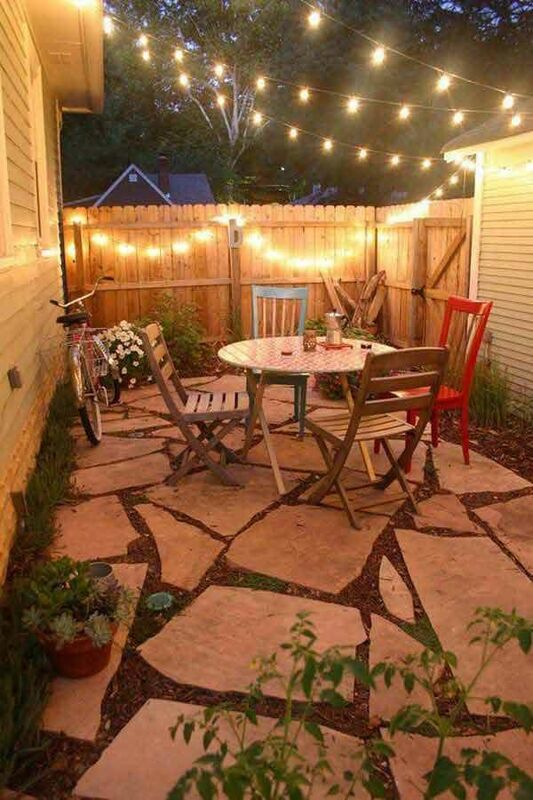 These areas are also perfect for the small backyard design ideas. This can also be great for evening dinners with your loved ones. 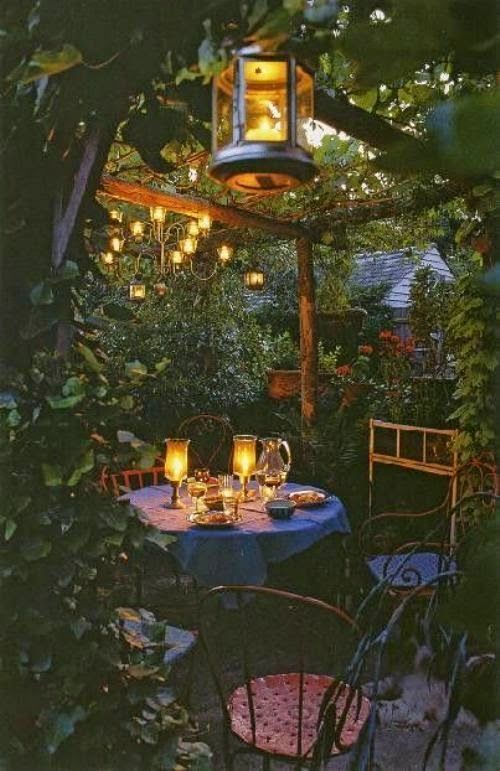 Let's talk about patio decorating ideas and porches too and how to make your outdoor space into a romantic sitting area. 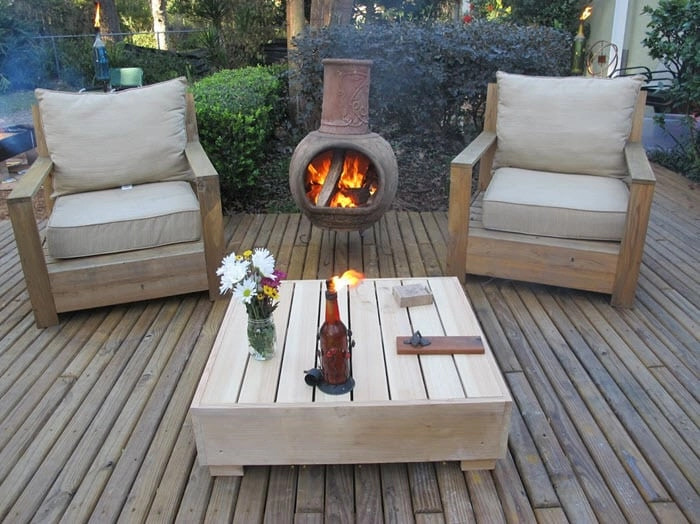 Fire pit areas don’t have to be extravagant or crazy to work. We started out with a very cheap and easy to put together fire pit for our backyard. 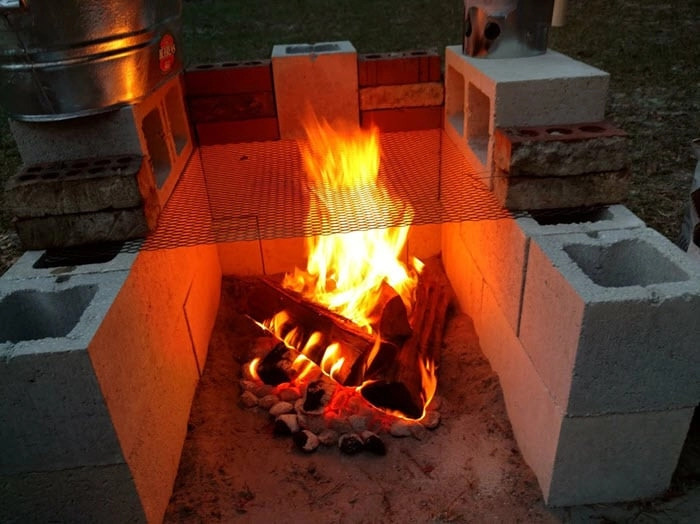 We wanted to have an oyster roast one weekend and threw it together with the cinder blocks we already had in our backyard. You can definitely dress this up or down, depending on what you’re going for. Really, it’s about being able to make a fire and sit around with friends and family while keeping the fire going anyway. 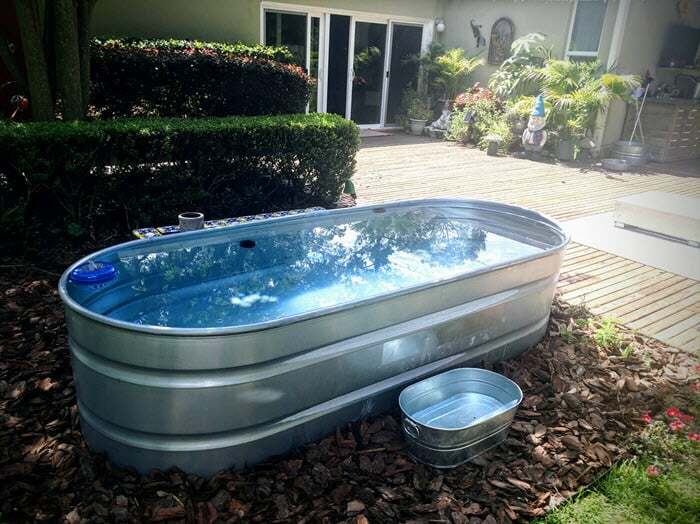 Sometimes you just want something easy to get into after a long day, but you don’t want something huge in your backyard. Plunge pools are making a splash (ha) these days. They are pretty simple to setup. Since most are less than 2 feet, you don’t need to worry about permits or city ordinances. This is our best friends’ backyard. They wanted a plunge pool. This one was put together with most of the items bought at Rural King. 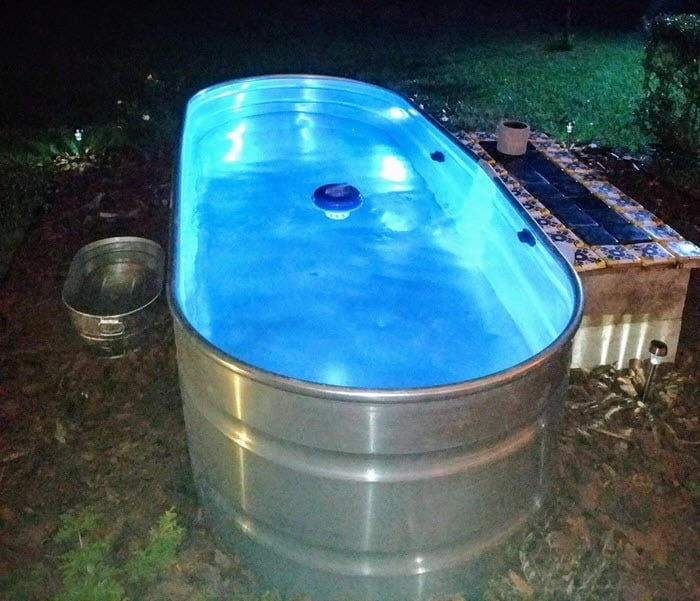 In fact, our best friends went to find the plunge pool and the Rural King employee made the hole and gathered all the things they needed to make the plunge pool work. He even worked out the right pump they needed for it. And this is what it looks like at night. They added some lights in and around the pool. They also have little pillows to rest their heads on the side. It’s very nice in the summer nights. 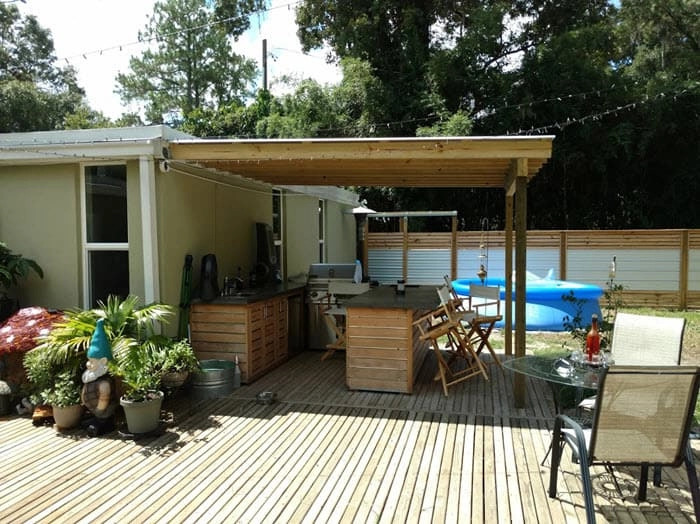 There’s always an ongoing search to find the perfect area in the backyard to enjoy being outside, but where you can also go to shade yourself during the warmer months. Here are some shaded patio ideas to help you come up with the perfect shaded backyard landscape area. We helped our best friends with their outdoor kitchen area and we made the concrete counter tops. It’s beautiful and we loved how they turned out. The concrete got super hot in the summer. So we added a cover over the area. It’s great for all kinds of weather now. We were just hanging out last weekend during a light rain even. Here’s another one that’s similar, but off from the house. We didn’t build this, but now that I’ve seen it, we might do something similar. Admittedly, that’s a lot more work. Here are a few other shaded patio ideas that might not be as difficult. 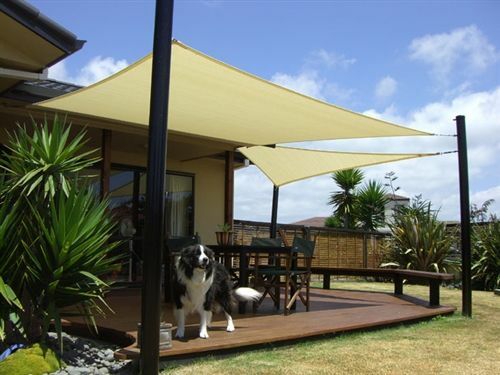 Shade sails can work for you, but you won’t be able to enjoy your area if it’s raining. This is one of our first backyard designs that we did and it was for Jena’s mom for mother’s day. It was a fun project to get through and took the weekend to finish. The biggest thing was leveling the ground area to put the pavers down. We haven’t created a gazebo yet, but we still have time. If you like more architecturally different structures, these are for you. They are usually round or octagonal and can be screened in. We definitely have a couple of different BBQ areas. One is the more built in look and the other can be rolled around wherever you need it. 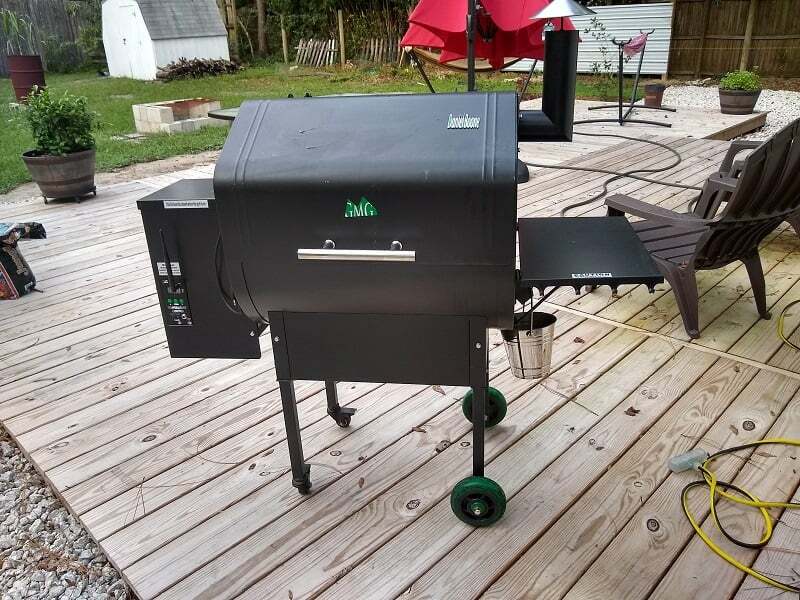 When the spring comes, we’ll probably create a built in look for our pellet grill so it has a more permanent home. 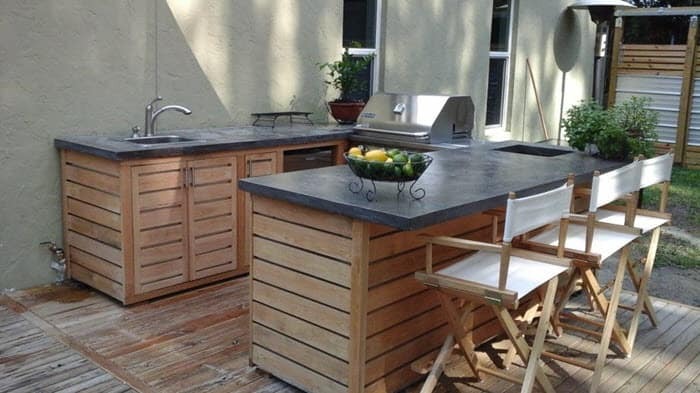 Here is a great built in BBQ area for your backyard. Now that it's summer, there's basically no reason to be inside...like, ever. Our best friends’ neighbor let his pool go so he could turn it into a koi pond and thinks it way easier to deal with than having a pool. He also likes having more wildlife coming to his backyard now that’s it’s a pond. Along small ponds, swimming pools, water fountains, waterfalls and lush vegetation, the small backyard aquariums can really put the cherry on the cake in a glance. 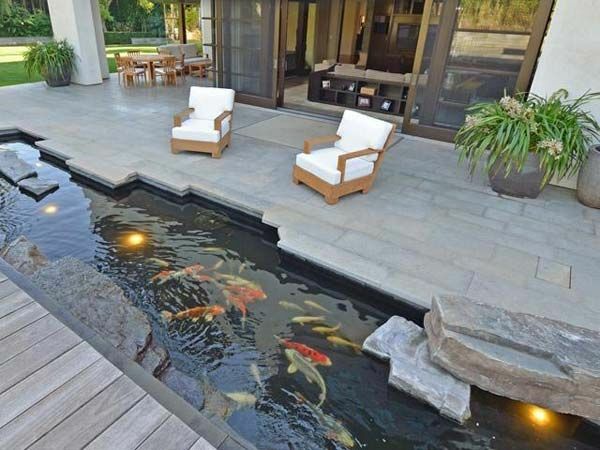 A gravel patio surrounds the elegant koi pond, and stone benches are placed throughout the space to allow people to enjoy the tranquility. 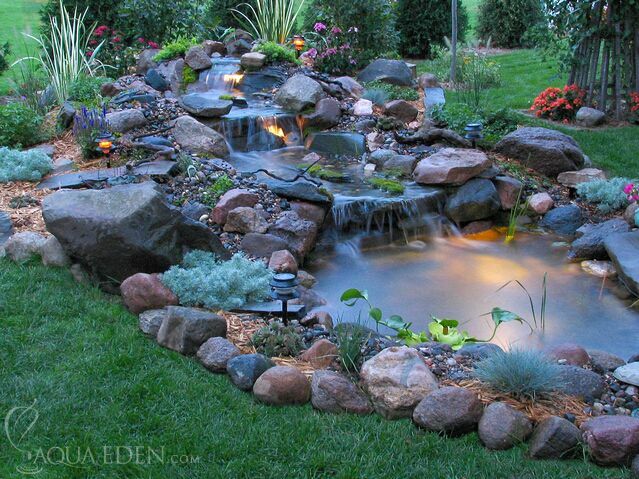 I love being near water, so having a backyard water feature is a great way to make you feel like you’re away from the city and it helps drown out any city noise. You can make it as natural looking or as industrial as you want. If you set it up correctly to begin with, then the upkeep should be minimal on them. 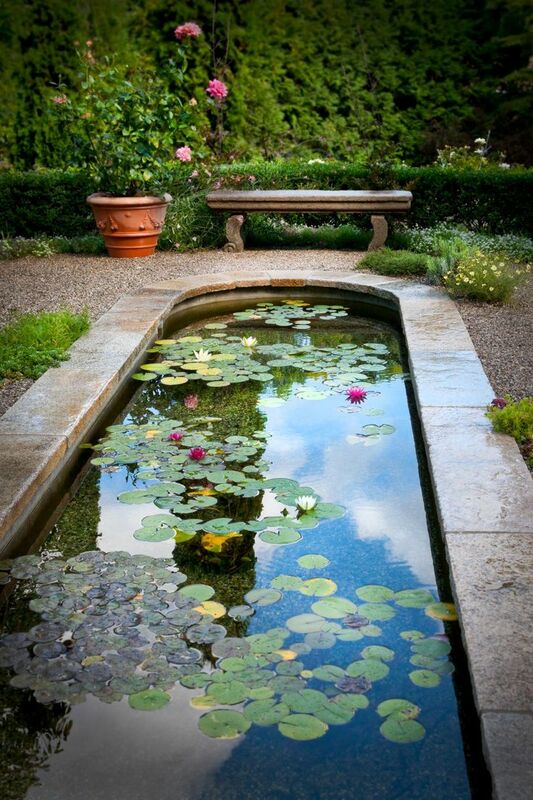 Summer is rapidly approaching and it's time to start planning your backyard oasis with not just shrubbery but considering the addition of a pond design. One of our favorite sitting areas at night includes a clay chiminea. They are pretty easy to light and super easy to keep the fire going in them. The clay pots help radiate the heat so when you’re sitting, you feel it’s warmth on a cold evening. The smokestack goes up through the chinimea and away from you and your guests. We even made the outdoor furniture with this. We’ll show in a different post how easy it was to make. Whether you love to lay in the sun or just enjoy the evening in a lounge chair, you can create a lounge area for that mood. If you entertain a lot and want a place where you and your friends can sit and catch up, this is a great place to create a space for relaxing and enjoying each other’s company. Jena made this for a friend. Their old garden slats rotted away and they wanted something similar to take it places. It adds just a bit of depth and a little privacy to the area. 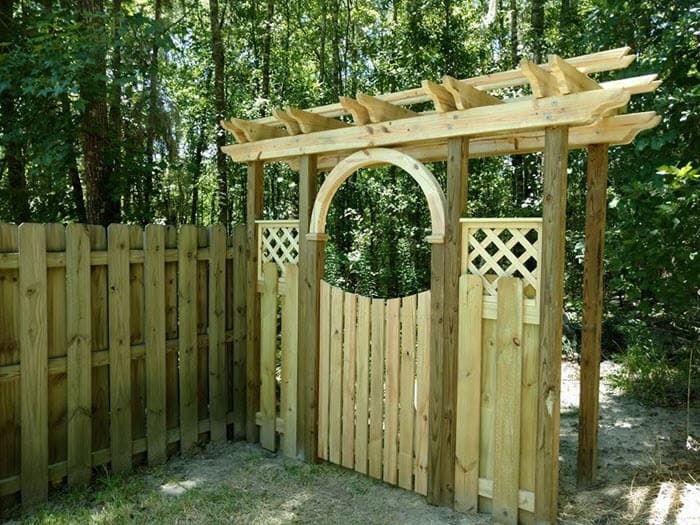 Add a beautiful gate to your backyard so you know that you’re walking into something magical. We made this in two days and created the lattice work and curves all from normal tools. We love fences. But not just any kind of fence. 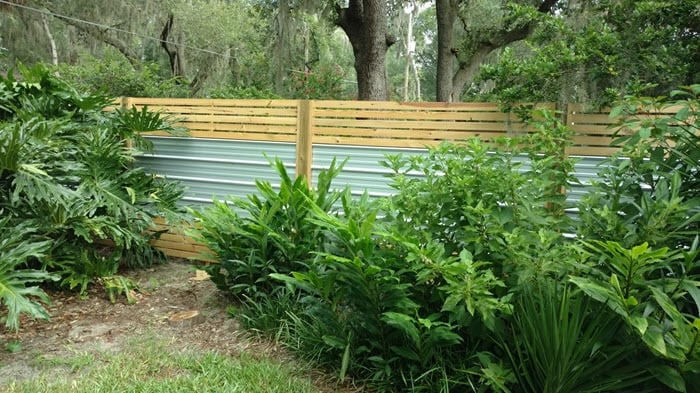 We’ve been playing with fence and metal that brings a different look and feel to the backyard landscape. This one also cuts down on cost because the metal costs less than the cypress boards that we got. Hope you enjoyed looking through most of these projects and got some ideas for your own backyard landscape ideas. Feel free to share your favorite area in your backyard and why you love it in the comments below.